"Hi friends! Today I am sharing a project that was over at The Sewing Rabbit a few months ago and I am now adding it onto Modern Handcraft. 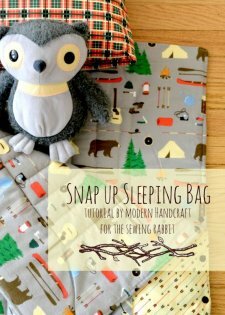 This is a fun project to make your little camper, a Snap up Sleeping Bag! 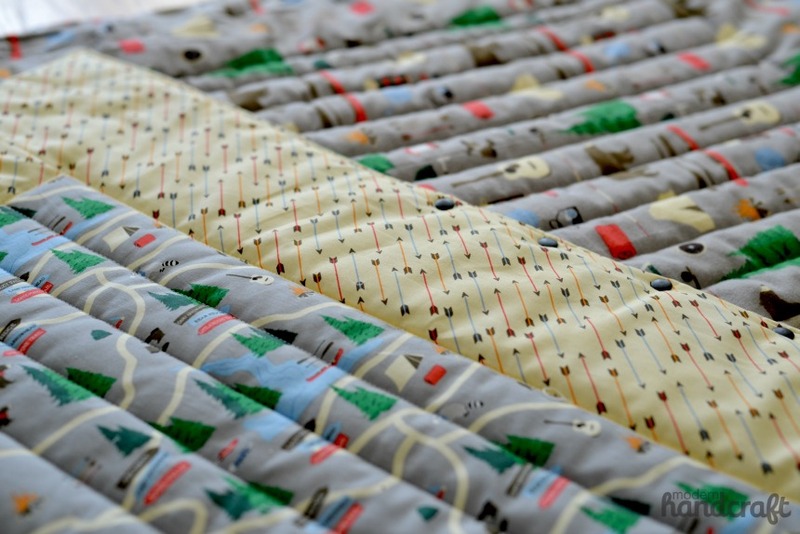 My little guy has a hard time with zippers but LOVES snaps so I decided to change up the traditional sleeping bag for the little ones with a bonus – it snaps open to make the coziest camping quilt in the campground! "This combo makes for a fun pretend camp out or sleepover at grandmas house! It is also warm enough to take on camping trips in the great outdoors. 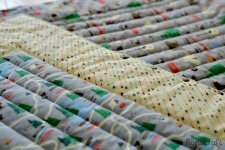 The size of this sleeping bag is perfect for smaller children and can grow with your kiddo as a lap quilt when un-snapped!" What do you think of this snap up sleeping bag?